Uber is disrupting the taxi monopoly, but California isn't happy about it. 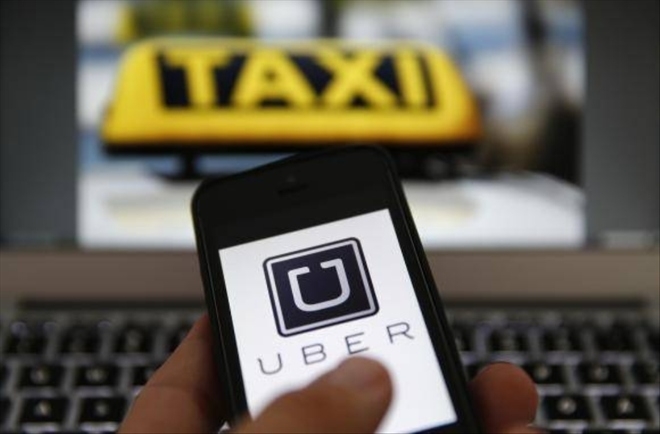 In the state of California, the popular ridesharing service Uber is under serious attack. We’ve covered how earlier this year, the California Labor Commission issued a ruling that the company’s drivers should be classified as employees, rather than the independent contractors Uber claims they are. This classification has major implications for Uber and all similar services in the future, since employees are subject to massive labor regulations from which contractors are exempt. The cost of complying with these regulations would be crippling, if not fatal, for Uber’s services in California, and the door would be closed on any businesses with a similarly innovative business model in the future. Until now, all of this has been hypothetical, since the Labor Commission’s ruling was non-binding. The courts ultimately get to decide how Uber drivers are classified, not a regulatory board. However, in a decision announced on September 1st, a federal judge granted class action status to a separate but similar lawsuit that makes the case that drivers should be treated like employees. The plaintiffs in the case claim that 160,000 drivers should be granted standing and included in the class, but the judge’s ruling will limit that number somewhat, although the final number remains unclear. Uber plans to appeal the decision, claiming that there is no such thing as a “typical” Uber driver, and that they therefore cannot all belong to the same class, but if the suit goes forward and the courts rule against the company, may have to close up shop in California. The back damages the company would have to pay in the event of a loss would likely be immense. If the case goes forward, a jury will ultimately determine whether drivers are employees or contractors. Uber has won fame and fortune based on its ability to undercut the taxicab monopolies through a unique business model. The driver structure allows workers to relax at home until they are summoned by a smartphone, or drive around populous areas waiting for fares, depending on how much they want or are able to work. A low barrier to entry and flexible time commitment allow people to earn money on the side, who may not have the time and inclination to become full-time cab drivers. This has also allowed the company to offer lower prices, better service, faster rides, and lower wait times than cab companies, whose costly “medallion” system limits competition and preserves the big companies’ market share regardless of poor quality and high prices. The use of technology to innovate and find new ways to solve old problems is one of the most beautiful things about free markets. It’s unfortunate that California wants to deny these benefits to its citizens. So more joyful game now available here for the all and its interesting for us that we use this site for the https://mahjongconnectonline.com gaming in the system and now use this site.